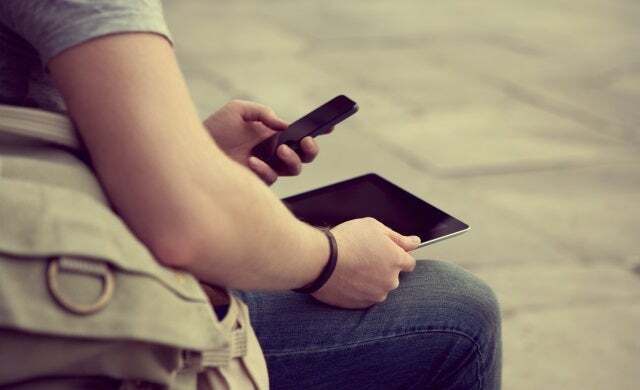 For the entrepreneur or small business user, always-on connectivity means you can take your business anywhere that has internet access. But while things have certainly come a long way, the practical reality of using data when abroad isn’t quite as convenient and affordable as it could be. Read on for some practical tips to help you stay connected on foreign shores, and keep costs in check. If you rely on the web to run your business, not being able to get online when you need to can be a disaster. Fortunately there are few places on the planet where that’s still the case, and that’s good. But how do you decide on the right option for you – one that gives you the access you need without costing a fortune? The first step is to start by asking yourself how much data you’re actually going to need. If you just need to occasionally access your email and surf the web, your hotel’s WiFi or public WiFi in coffee shops and the like should be sufficient. But if you need more regular access, or you require more data-heavy work like streaming video content via the web, you might be better off buying a fixed-rate data package for your phone or mobile broadband before leaving the UK. The great thing about WiFi is it’s either there or it isn’t, right? Sadly, it’s not that simple. The free wireless internet access offered by hotels and the like can differ greatly in terms of speed, reliability, where you can access it, and how “free” it actually is. Building a website for your business idea is easier than you might think. Our online tool ranks the top website builders that offer free trials. Even if a hotel claims to offer free WiFi, sometimes that’s limited to a nominal data quota or amount of time, after which you have to pay. Some hotels only have internet access in the lobby or bar/restaurant, and not in the rooms. Also, remember that free WiFi and free internet access aren’t necessarily the same thing: the latter could be nothing more than a single PC in reception you can use to check your email. The hotel may restrict their free web access to just one or two devices at one time, which is probably fine if you’re on your own but could be a headache if you’re sharing a room and both of you need to be online at the same time. Older hotels may have free WiFi, but it may be an outdated system that can’t cope with today’s data-hungry gadgets. That could mean a connection that’s very slow, or even worse, not there at all. So how do you avoid getting caught out by misleading claims and sluggish servers? Check the hotel’s website to see if it elaborates on the internet service it offers, and check out recent customer reviews for complaints that the hotel’s web access was slow, unreliable or not as advertised. If you’re still not sure, contact the hotel directly and ask them for more information. Fortunately, you don’t have to stay holed up in your hotel all day to get online for free. In most countries, and especially in larger cities, many public spaces, coffee shops and restaurants offer free internet access these days. Well, it’s not exactly free of course, but being able to get your work done while enjoying a relaxed cup of coffee or a taste of the local cuisine is worth the expense in our book. Exactly how you get online will vary from place to place – in some cases access is open and unrestricted, in others you have to register and log in with a user name and password. That’s a minor inconvenience, but generally doesn’t take long and typically you don’t have to hand over more than a few basic details such as your name and email address. If you are asked for more than that, you’re better off steering clear and trying somewhere else. Free internet in hotels and restaurants is all well and good, but what if you need access to the web elsewhere, such as in a conference facility for a presentation? The answer, of course, is mobile broadband. It wasn’t long ago that the standard advice when travelling abroad was to leave your phone at home, or if you did take it with you, to make sure its mobile data function was firmly switched off. Well, happily those days are long gone. The combination of ever-advancing technology and pressure from governments and consumer groups has seen the mobile roaming landscape change dramatically over the past few years. Service providers have been forced to cooperate and commit to steadily lower price caps on mobile roaming costs, a double-win for anyone who travels regularly as it makes getting online while abroad easier and cheaper than ever. It can still be expensive though, so it’s a good idea to get yourself a fixed-rate data and call package if your network offers one. That way you’ll know exactly what you’re paying for each day, with no nasty bill surprises when you get home. The picture becomes less rosy when you look beyond the EU, though data costs in the likes of Australia, Canada and the US are similarly affordable these days, too. But even if you do need to pay for internet access further afield, there are still ways of making it cheaper. You could, for instance, simply buy a local pre-pay SIM card and top that up with data. It’ll still cost a fair bit, but chances are it’ll work out cheaper than using your UK SIM card directly, unless you’ve got yourself one of those handy fixed-rate data packages. Again, this depends on exactly where you are, and how long you’re going to be there, but do your research and you’ll be able to make the right choice for you and your business needs. In the end, there’s no simple formula for reducing your data costs while working abroad. Every small business is different, and you’re the only one who can ultimately decide where the balance between data usage and cost lies for you. Added to that, the picture is constantly changing, particularly when it comes to mobile internet, so the right answer today may be the wrong one this time next year. Do your research and plan carefully, however, and you can stay ahead of the curve, and use the web to run your business effectively at a cost you can afford from anywhere in the world. Extra storage: For your laptop, that is, not you. An external hard drive is useful for backing up files and the like, but it’s worth bringing along a couple of USB memory sticks or memory cards too in case you have to share files with colleagues who’re using a different PC. Chargers: Make sure you pack chargers for all your gadgets. It sounds obvious but we’ve all forgotten them at some point! Plug adaptors: Again, don’t forget to pack them if you have them; if not, buy them at a supermarket or online, as it’ll be cheaper than at the airport. Power strip: Your hotel room may only have a single power point, or it might not be located in a convenient place. Bring your own multi-plug power strip and that’s not a problem, and also means you only need a single plug adaptor. Your business needs a website to connect you to your customers. Create a professional website for free today. Take card payments quickly and easily with Square. Save 25% on your stand kit when you get a Square card reader today. Coworking offers businesses a professional location to grow. Get coworking quotes.